End of Year sale: UP TO 50% OFF Select Styles & Colours. For a limited time only. These slippers will feel firm initially, but mould to your feet as you wear them in. The EMU Australia Wrenlette is a women’s sheepskin slipper-slide. 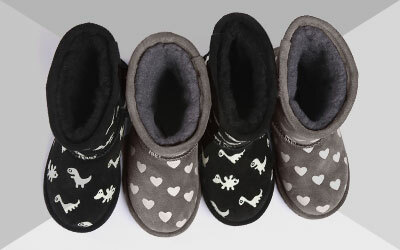 Featuring luxuriously soft Australian sheepskin on a rubber outsole, these slippers can be worn inside and out. The Wrenlette slipper injects a touch of luxury into the everyday slide. A wide, soft Australian sheepskin band secures the foot, delivering the utmost comfort. Plush sheepskin is also used in the footbed to provide great next to skin comfort. Meanwhile, the lightweight and flexible rubber outsole offers traction both indoors and out.